Imagine the dialogue of your favorite TV show or film being lost to the ages, and the music is all that remains. Such is the case with The Seasons, a classical ballet that debuted in 1900 by Marius Petipa, who created famous full-length works like Swan Lake, The Sleeping Beauty, and The Nutcracker (which happily do survive today). Though the choreography—every turn and leap and step—has vanished from the written and visual record, that didn’t stop American Contemporary Ballet artistic director Lincoln Jones from conceiving his own interpretation of The Seasons based on the original music by Alexander Glazunov. 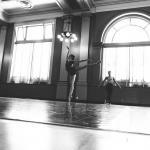 For Music+Dance:LA II, a series of six performances this weekend, August 14 through 16, Jones is taking over the old Farmers and Merchants Bank Building downtown. The program concludes the company’s fourth season, and the audience is invited to celebrate with the artists at a reception following the hour-long piece. We spoke with Jones during the last hours of rehearsal. Can you give us a bit of history of Petipa’s original ballet? The Seasons was premiered in 1900 by the Russian Imperial Ballet in St. Petersburg (now known as the Mariinsky Ballet or, during the Soviet era, as the Kirov). One interesting aspect of The Seasons is that it doesn’t have a traditional story, like Sleeping Beauty or Swan Lake, but was conceived as four scenes simply evoking the seasons. In this way it could be seen as a forerunner of plotless 20th-century classical ballet, like Balanchine’s Jewels. How did you use Glazunov’s music to choreograph your original work? Glazunov was an excellent composer of dance music, meaning his music is very evocative of rhythmic movement of great variety. It is also extremely beautiful, and harmonically ahead of its time. It is very rich for ballet music of the period, which often tended toward the simplistic and thin. Were you inspired by Petipa’s choreography from his surviving ballets? Or did you set out to create a piece that’s entirely new? Both Petipa, and Balanchine after him, are part of a direct lineage of classical ballet. In my view, their work didn’t so much represent styles of ballet (though as artists, they certainly had personal styles) but expansions of a logical language of concert dance. I think that one of my most important tasks as a classical choreographer is to absorb as much as I can of what they both did, which is essentially learning the language of classical choreography up to our present day. Of course, the music, my own taste, my creativity and limitations will also shape the choreography, but it is very consciously born of that lineage. What is the mood, tempo, and structure of your ballet? Like the original, there isn’t a story, but rather it is intended to reflect the seasons and their cycle (and most importantly the music, which is redolent of both). Musically, each season is very different in terms of mood and structure, which makes it a lot of fun to work with and listen to, and of course the choreography reflects that variety. Winter is based around four solo variations, named in the music as Frost, Ice, Hail, and Snow. 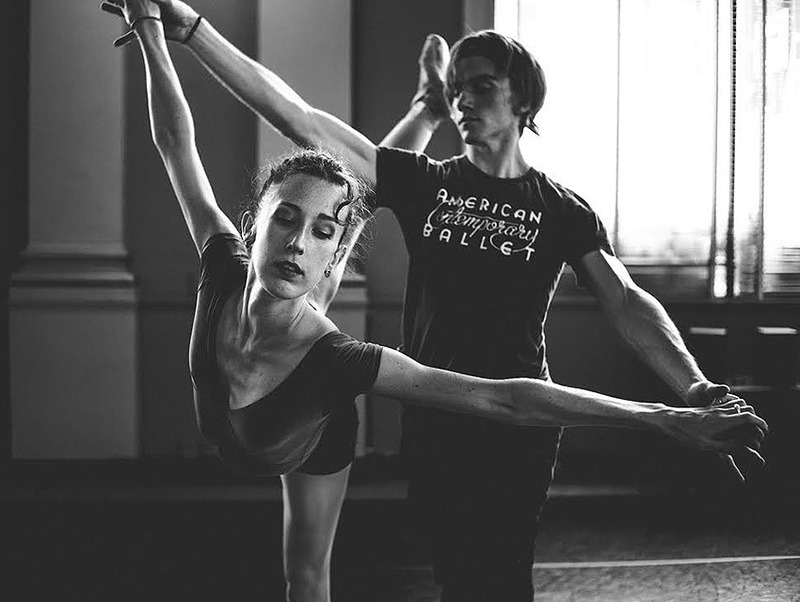 Spring is one single musical movement encompassing both fast and slow sections, which we present as a pas de deux couple flanked by two female dancers. Summer is an ebullient, multimovement piece with a coda that sounds almost like a predecessor to Stravinsky’s Rite of Spring in places. The most famous music from the ballet is probably the Bacchanale from Autumn, but the Adagio that follows it is so beautiful, it may be my favorite. In our MUSIC+DANCE:LA programs, we always pair the ballets with works for the musicians alone. How different artists approach the same material has always been fascinating for me, so for this program, we’ve paired Glazunov’s The Seasons with Ástor Piazzolla’s The Four Seasons of Buenos Aires, so the audience can experience how two composers approached the same subject. Piazzolla’s work also quotes the famous Vivaldi Four Seasons. How does the space at the Farmers and Merchants Bank Building lend itself to your piece? 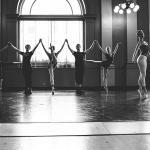 The space is neoclassical in design, which isn’t too bad a fit for new classical ballet! But more importantly, it encompasses a large open space, has gloriously high ceilings, and has an elevating, vertical thrust from the tall windows and inner columns, all of which are very complementary to classical dance. And since this is an original ballet, we were able to design the costumes to fit the color family used in the interior of the bank.